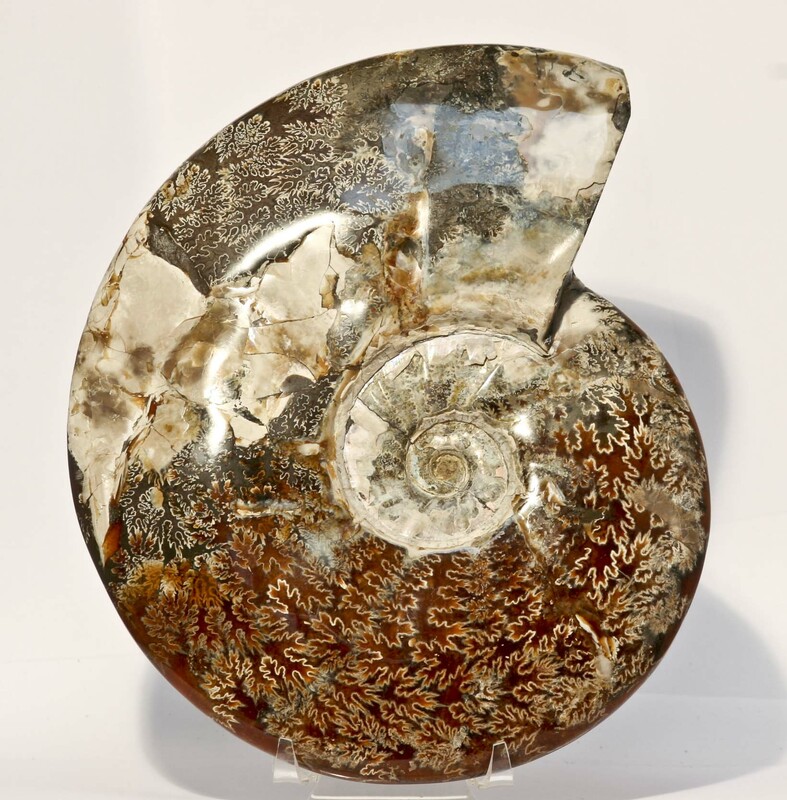 Large polished Cleoniceras ammonite from Madagascar. Cretaceous, around 120 million years old. 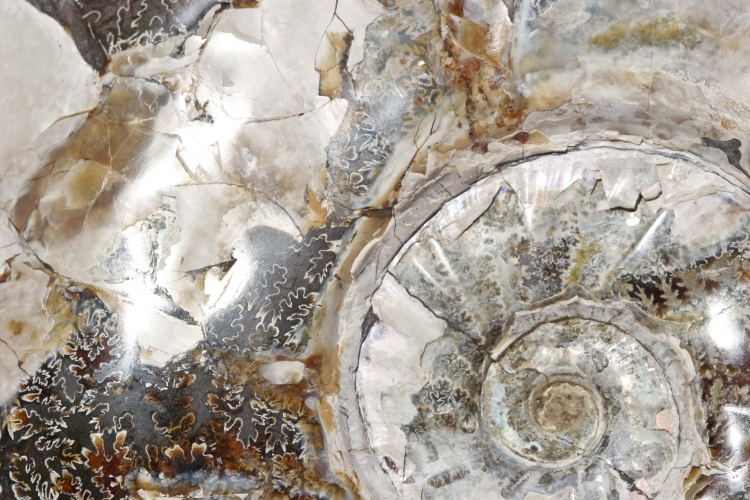 Some parts of the shell remain on one side of the ammonite.